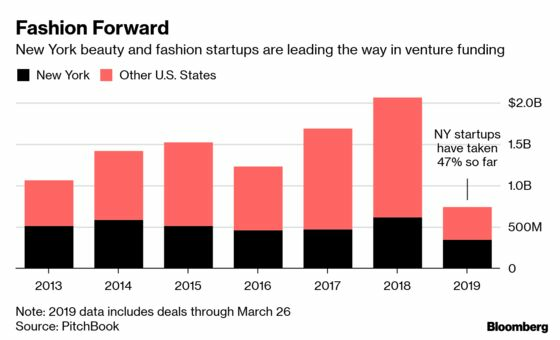 (Bloomberg) -- New York’s startup fashion scene is trending among venture capitalists. Record amounts of funding are being raised, leading to two freshly minted billion-dollar companies in the past two weeks. And there are more waiting in the wings, buoyed by the convergence of online shopping and Instagram. These new companies are more than just fashion and beauty startups, says Eurie Kim, a partner at Forerunner Ventures. They’re building revolutionary business models that are powered by intimate relationships with consumers. “This is why investors are clamoring to get involved -- and this is just the beginning,” Kim says. New York’s legends in the fashion and beauty industry, as categorized by PitchBook, include Etsy Inc., which is now an $8.4 billion public company and glasses purveyor Warby Parker, which hit the symbolic billion-dollar status back in 2015. Makeup line Pat McGrath Labs became a unicorn last year. But many other promising startups either got bought before reaching unicorn status or fizzled before making a splashy public market debut. Fashion and beauty subscription pioneer Birchbox, sold a majority stake to private equity firm Viking Global last year; men’s clothing startup Bonobos, was acquired by Walmart Inc. in 2017. And the one that started it all, Gilt Groupe, the city’s first fashion unicorn, was valued at more than $1 billion in 2011 with backing from Goldman Sachs and SoftBank Group, only to be sold first to Hudson’s Bay for $250 million and then to Rue La La last year for less than $100 million. 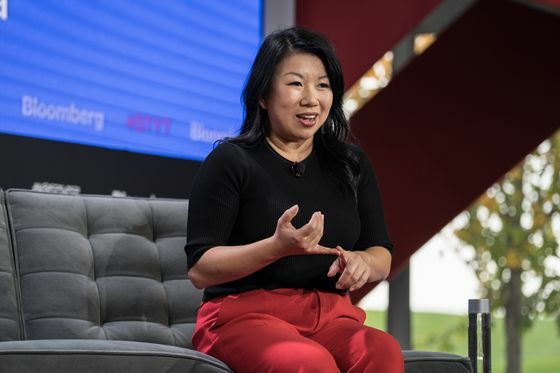 But if Gilt lost some of its luster, its legend lives on through the many executives and co-founders who went on to build some of the new crop of startups, including Shan-Lyn Ma, the founder of Zola. “We saw the rapid rise and then fall of Gilt,” Ma said. 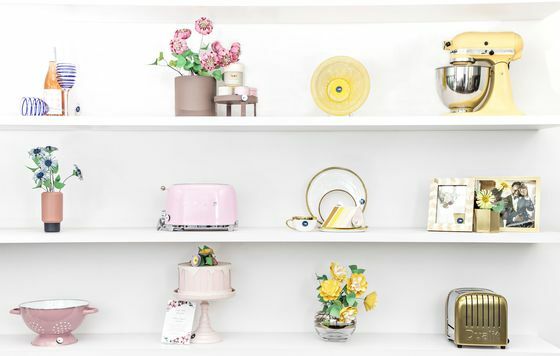 “We learned a great deal about what to do and what not to do.” The startup has tripled its number of employees in the past two years, is gearing up to launch a new section on its website and recently opened its first store, where else but on Fifth Avenue. 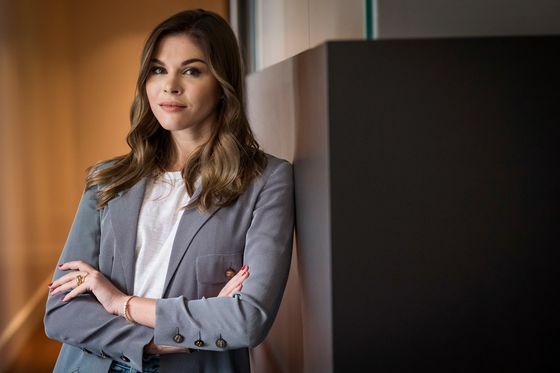 Glossier started out as a beauty blog where it established a loyal following before becoming one of the rare beauty companies that does almost all of its business online. The company promotes its house-brand serums, balms and milky cleansers to some 2 million followers on Instagram where its pages are minimalist and pink and encourage fans to engage with feedback and questions. Rent the Runway’s Instagram feed is an ``unlimited closet,’’ as one co-founder describes it, with a parade of photos of real people in all shapes and sizes wearing their rented gowns.